Toward the end of my educational career, I helped revise a Bible curriculum. This work led to an invitation to participate in a weekend conference for Christian teachers living and working in Transcarpathia, Ukraine. Eager to travel and interested in the story of Hungary and its 1956 revolution, I accepted the invitation. Dutifully, I read Hungarian internet history, visited the local library, scoured bookstores, and read every bit of tourist propaganda I could get my hands on. Nothing, however, prepared me for the trip across the border into the Ukraine in April of 1998. Surly guards first stared at and then ignored us, leisurely finishing their cigarettes. Finally, after a couple of hours, they searched our little car, inspected our passports, and waved us through. 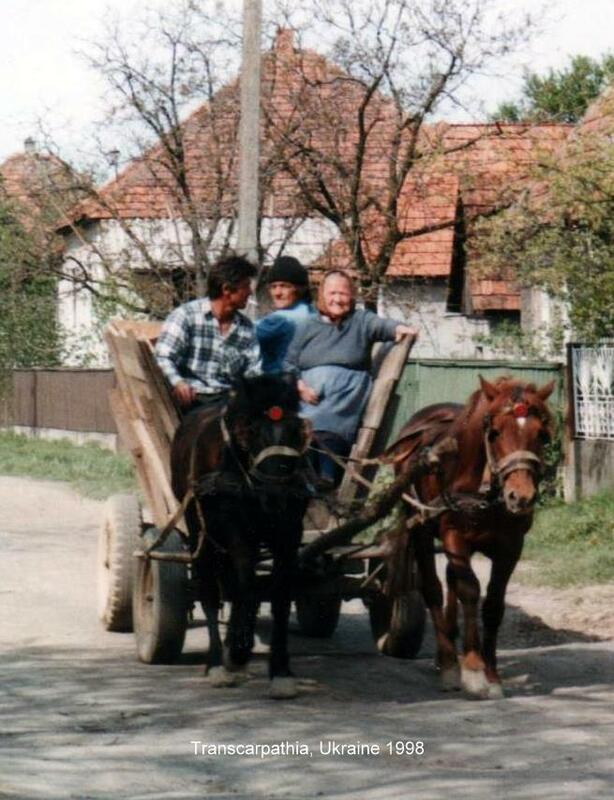 It was only the beginning.During the next few days we traveled through this westernmost area of the Ukraine, an area once part of Hungary and once populated mostly by Hungarians. It was a time to look and to wonder what we were really seeing. I became painfully aware that I was quite ignorant of the history that had shaped this part of the world. One time our guide stopped in front of a small store. He handed us a few grivna, the local currency, and instructed us to go buy something. Though we spoke not a word of Hungarian or Ukrainian, we didn’t want to appear intimidated, and entered the store. It was soon apparent that his goal had nothing to do with using grivna. He wanted us to see the shelves, mostly empty except for shelves loaded with bottles of vodka. 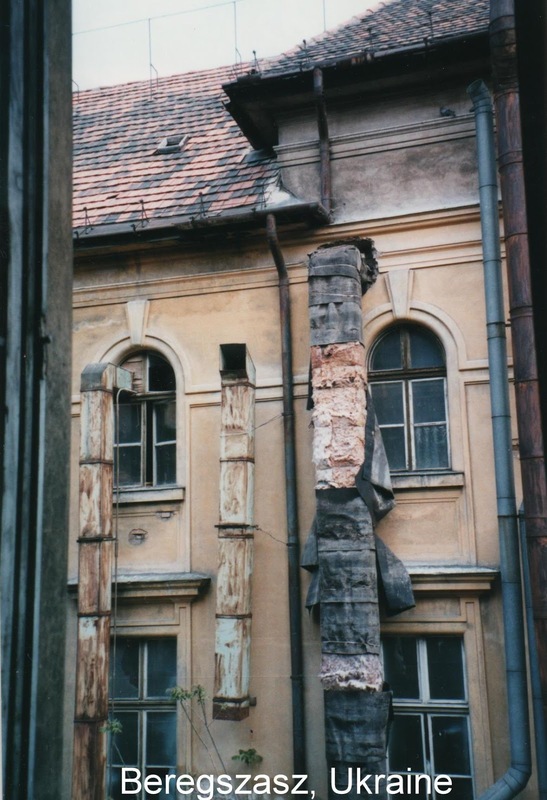 We saw ornate bourgeois public buildings, purposely encouraged to decay, standing side by side with more recent public buildings whose grim form reflected their function. 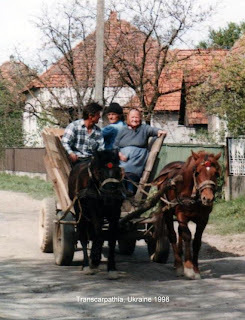 We shared the road with aging Trabants, fat-wheeled bicycles and horse-drawn wagons. I saw a derelict stadium built with public funds at the behest of a faithful local comrade, a gift to the 200 or so souls living in the village. Unneeded, unwanted, and unused, it too had fallen into decay. 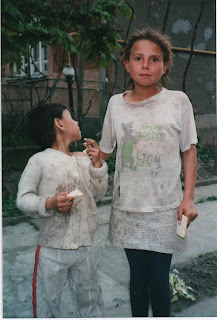 Roma children often greeted us with expectant faces, and outstretched hands. Our guide responded with gentleness and humor, always ready with a gift of food or money. We were impressed. By the time the conference began, I wondered whether I should ditch my lectures and instead be the student.